Shape Up Saturday: Head check! Welcome to Week 3 of Shape Up Saturday, where you get a little tidbit to work into your daily routine. My goal, as always, is to help everyone achieve a better version of themselves, one small change at a time. Today we’re talking about posture and how to start improving it. Stop and observe yourself right now. How are you sitting? (Or standing, lying down… whatever.) Chances are your head is jutted past your shoulders as you read on your laptop, tablet, smartphone, what-have-you. Like this good man here. Do you know how much weight you’re supporting right now? 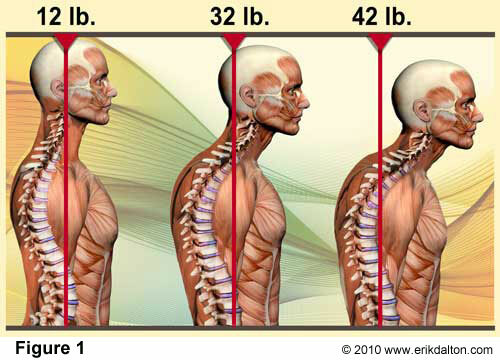 The average human head weighs somewhere between 8-12 pounds, but when you’re leaning forward the pressure increases so it’s more like you’re holding up 32 pounds… OR MORE. That’s some incredibly inefficient weightlifting. Look at the strain on the neck, back, and shoulders of the man in the center and on the right. All that pointless work is probably going to do a number on the jaw too. You’re also decreasing your ability to take oxygen in easily, and there’s no easier way to get stupider than to deprive the brain of oxygen, right? The truth is that in this Age of Technology we all use bad posture at least sometimes. We NEED to stop abusing our skeletal structure, though, because bad posture begets pain with begets tension which begets even worse posture, and so on. The most obvious way to stop the pain is to just stop sitting like that. I know that we’re creatures of habit, though, so that’s going to take some time. In the meantime, while you’re on the road towards practicing better posture, let’s look at another example of painful posture. This good man is probably experiencing a great deal of pain standing like this! While you may not exaggerate as much as this guy, I HAVE seen this show up a lot. I find that teaching correct posture is much easier when we talk about LIFTING the head. And that lift comes from the bump behind your earlobes, called the mastoid process. The head FLOATS above the shoulders, just as the ribcage should float over the hips. The neck shouldn’t have to strain to hold the head up, and when we focus on gently floating the head up (starting with the mastoid process), we are well on our way towards better posture. Of course, previous postural abuse to our body may have tightened muscles, making it difficult to achieve easy, effortless good posture. 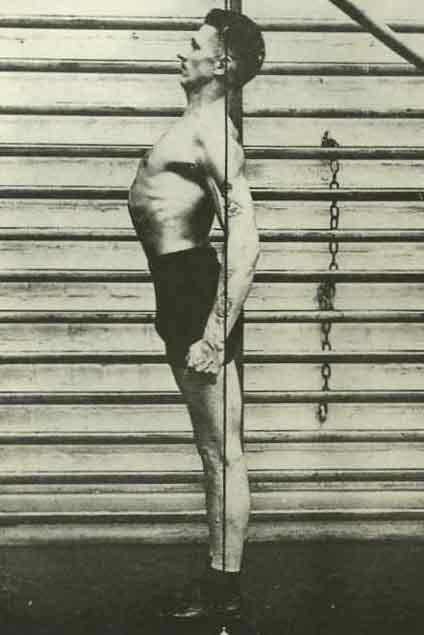 One way to start relieving the pain is to use the stretch I demonstrated last week. Collarbone lifted! Note the position of the ears over the shoulders. If your shoulders are/have been injured or you’re just too tight to do the stretch clasping your hands, you can still get a nice stretch by sitting tall on your bed/couch/floor and reaching your arms behind you in a low V, walking the fingers back until you get a nice stretch through the chest/shoulders/biceps. Here’s one last exercise you can add into your stoplight-sitting routine: the cervical nod. It’s a simple nod of the head. 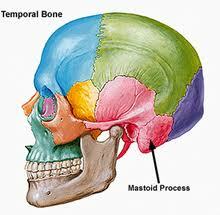 The skull should feel like it’s sliding easily up and down – the less you strain to do this, the better. Note how soft the muscles in my neck are – no strain. So that’s it for this week’s post. I just feel silly making these Vines, but if you find them helpful, I’ll keep making them. So what are you hoping I’ll talk about next week?